Hoy os voy a hablar de otra de mis caprichos de temporada, las escamas!! Today, I’m going to talk about another of my season whims, fish scales! Prada lo ha vuelto a hacer! una colección para sentirse miserable por no tener un real. La verdad es que cuando vi por primera vez la colección las escamas no fueron lo que más me gustó. La culpa de este flechazo la tiene el catálogo del Asos que sacó a Isabel Lucas con una falda de escamas y aunque el reportaje iba sobre un rollo jipiolo, no pudo evitar atraer mi atención. Ahora estoy ahorrando para gastarme 95 librazas en LA falda. Prada has done it again! a collection that makes me feel miserable for not having a penny. The truth is that when I saw for the first time Prada’s collection, fish scales where my least favorite thing. But then, I saw Isabel Lucas wearing a fish scale sequin skirt on Asos catalogue and bang! love at the first sight. Although the photo shoot had a hippie thing that I personally don’t like at all, I couldn’t help feeling the attraction. Now, I’m saving 95 pounds to get THE skirt. Si pensabáis que Prada es el pionero de las escamas y el rollo sirena, estáis muy equivocados…Ah! las ideas están en el aire y la inspiración en mitología, cortes clásicos en las prendas, naturaleza, cine y por supuesto en las colecciones de otros diseñadores. 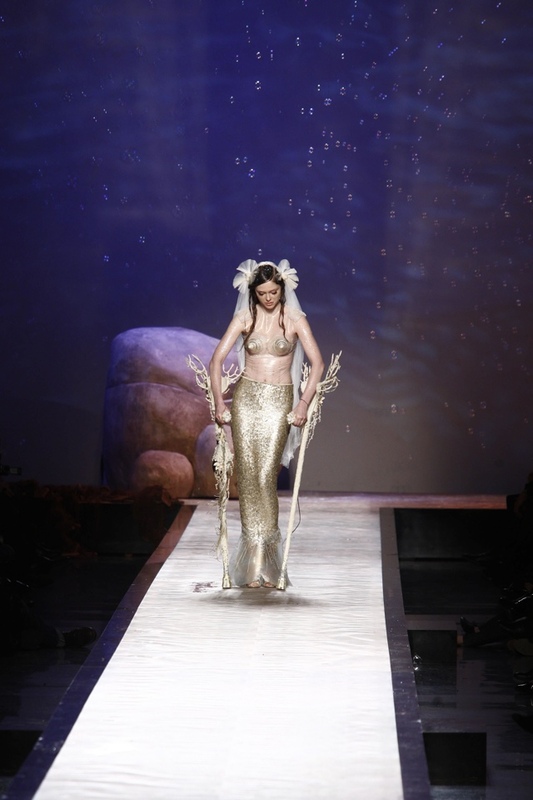 If you think that Prada was the first which used fish scale sequins and the mermaid inspiration, you are very wrong…Ah! ideas are everywhere and the inspiration is in mythology, classic patterns, nature, films and of course, in other designers’ collections. Echemos un vistazo a sirenas varias. Let’s have a look at some varied mermaids. Still not feeling the love dears? 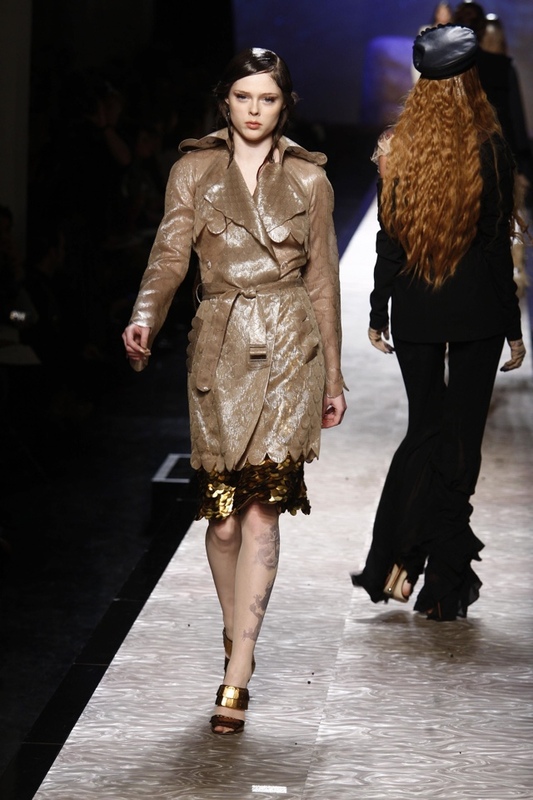 Let’s finish with the fab Prada collection! Now, you see why I desperately want a fish scale sequin skirt! 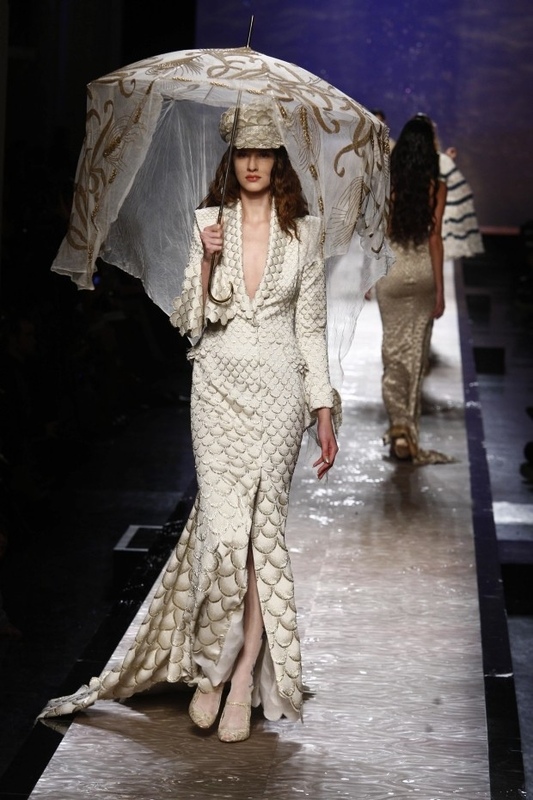 This entry was posted in collections, Jean Paul Gaultier, Prada, trends and tagged Asos, Fishscale, JeanPaulGaultier, Prada, Sequin, trends. Bookmark the permalink.